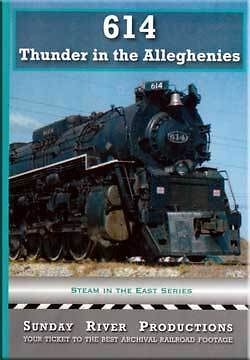 Chesapeake and Ohio ran some awesome steam power. 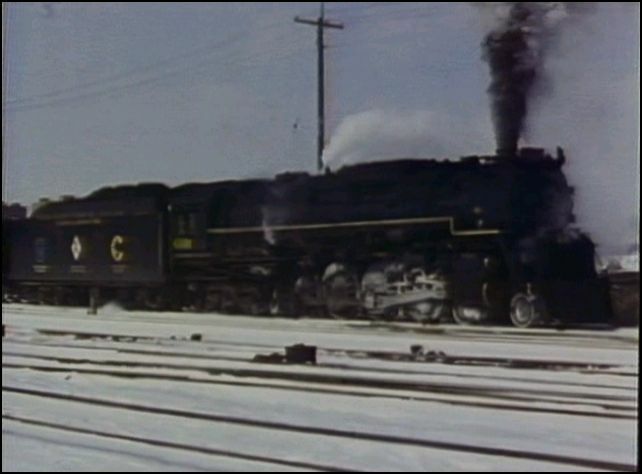 The 614 is the single locomotive that is the star of this show. 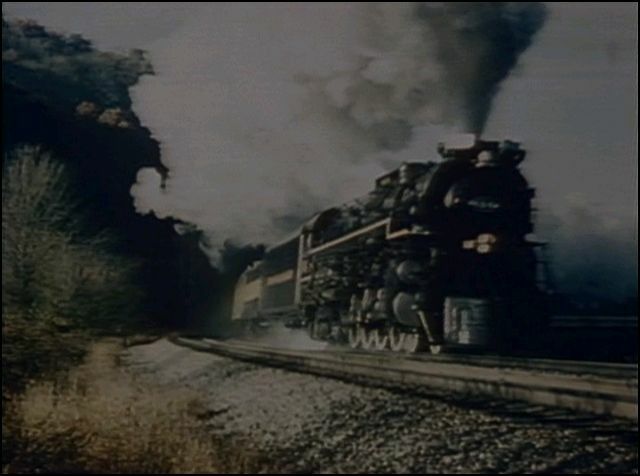 This engine is operating under actual working conditions. 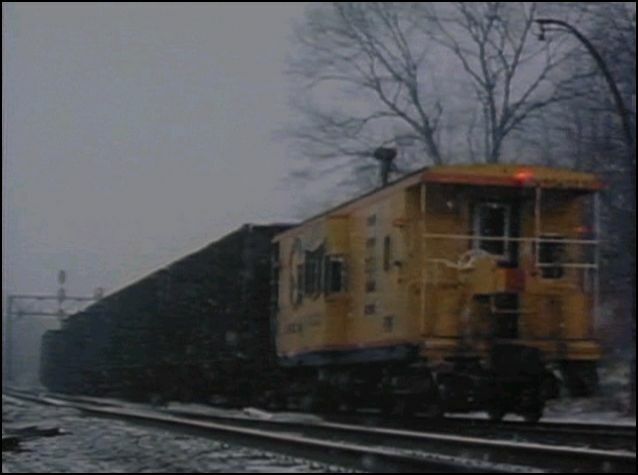 Coal is the commodity being hauled. Loads out and empty hoppers on the return. Six days a week. Action is in the winter. That is just the first part, of this two part program. 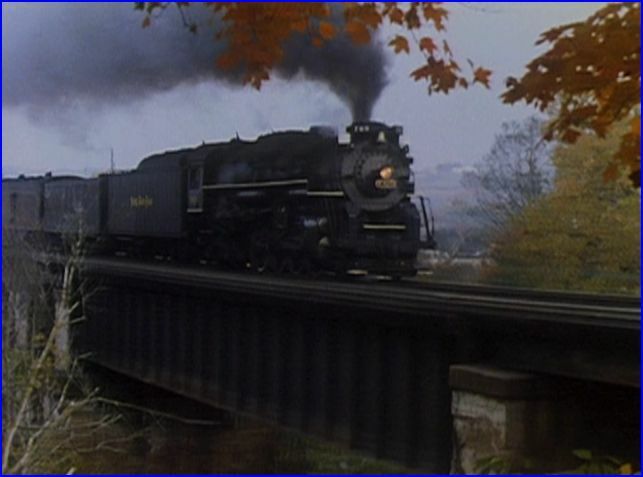 The big 4-8-2 is called a Greenbriar on the C&O. The same wheel arrangement is called a Northern commonly. 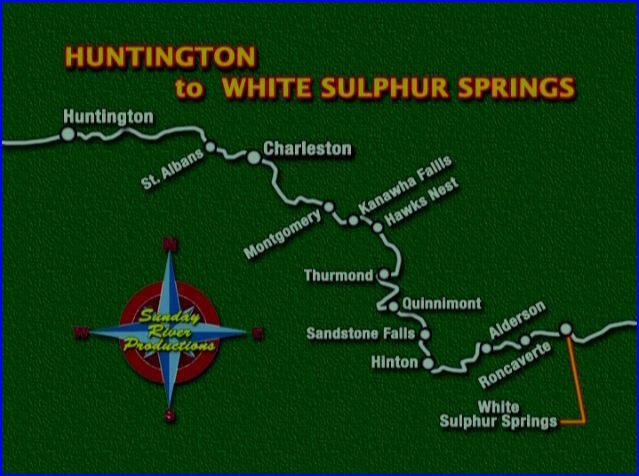 The C&O wanted a designation with local meaning. 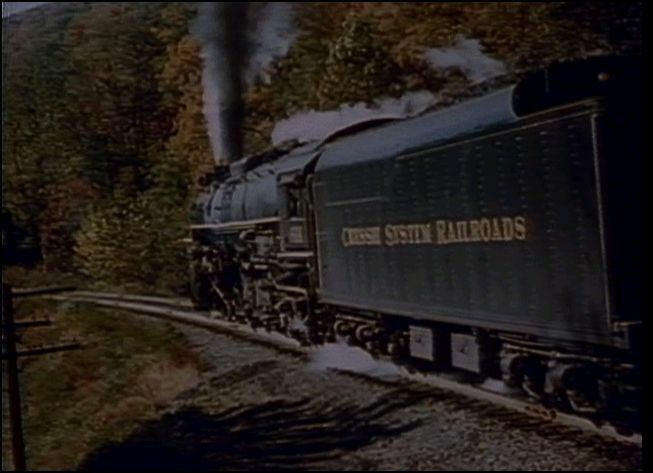 In the evolution of Chessie steam, this was from the final group. Lima was the builder in 1948. 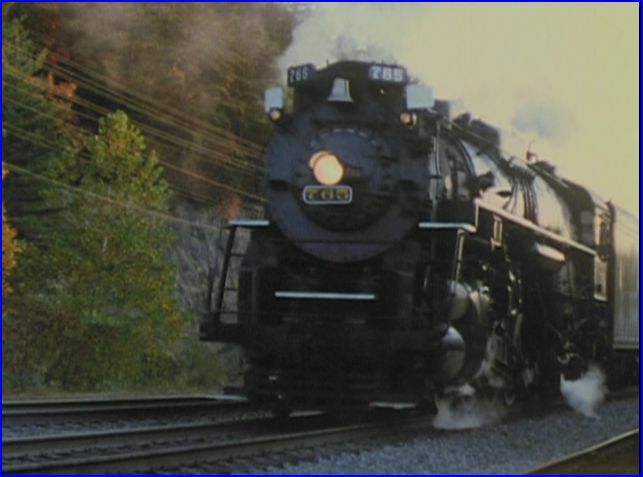 The 614 was therefore, a modern steam engine. 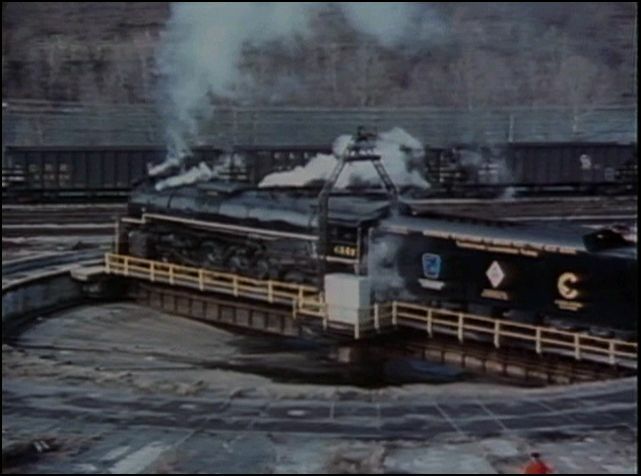 The 614 is a handsome locomotive, from any angle. Full color footage is accompanied by natural sound. The narrative is by Alva Morrison. Original production date is 1985. The show was updated for DVD 2010. A chapter menu is present. Editing is smooth. The audio has a microphone hum, when the narrative is present. 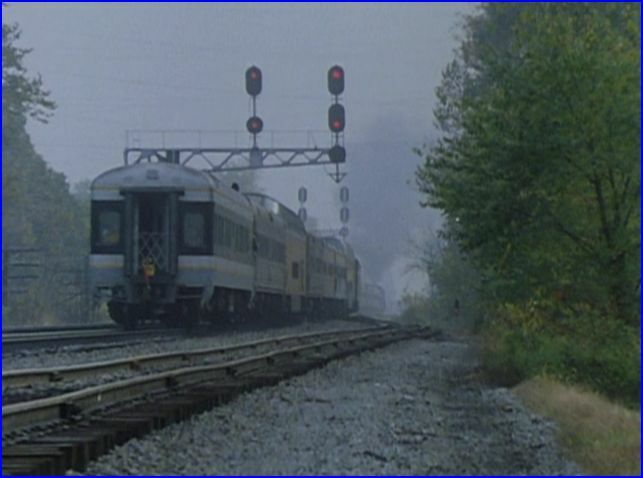 Train sounds are excellent, and do not have the hum. Part 1 has very minimal narration. Part 2 has more. Alva does have his usual informative narration. Viewers may wish for additional info overall. The cinematography is solid. Framing is thought out and there are a multitude of classic images. Various weather conditions affect the endless supply of runbys. Winter weather was the reality for January, 1985. 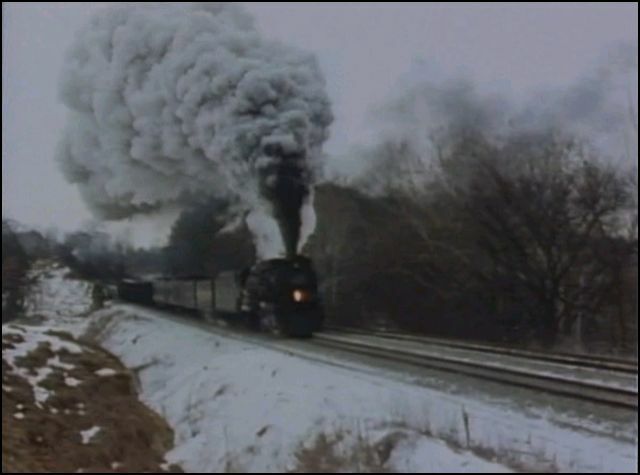 Some days the weather is dismal, but the train was a working entity. Action is constant. 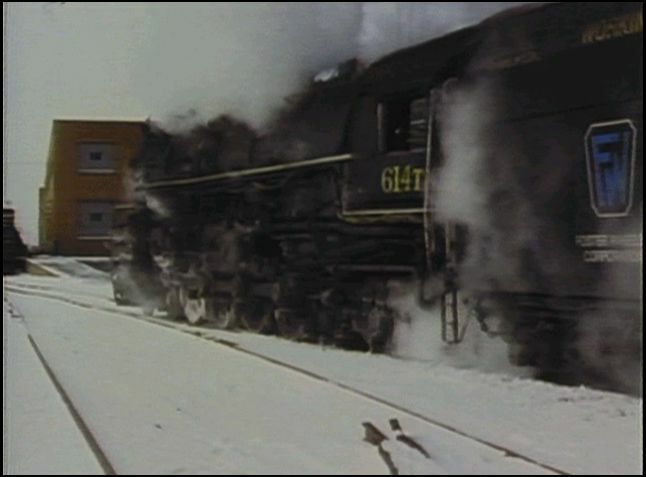 614 really gets up plenty of steam throughout the show. On the turntable. Many of the structures recall earlier years of operation. Ross Roland owned the 614. This T version of 614 was for testing. 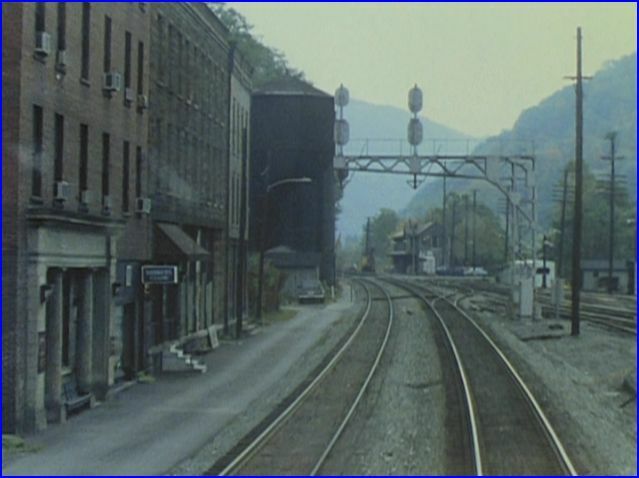 Specialized equipment was used to determine multiple factors in the cost of burning coal in 1985. Could updated steam regain it’s crown as preferred power on the mainlines? New River Gorge provides some aerial style footage. 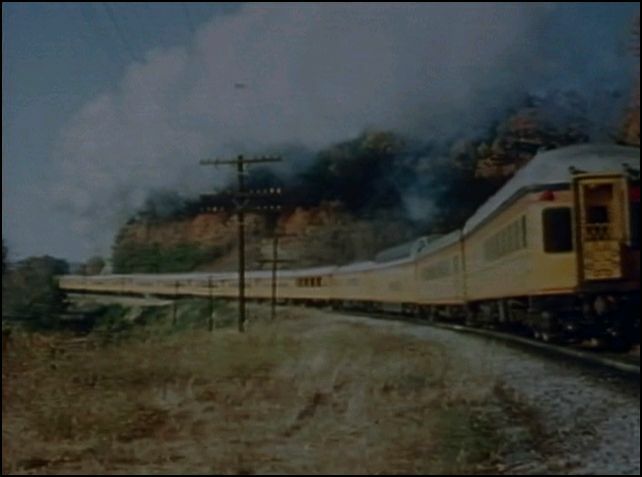 Part 2 is centered around Chessie passenger train operations behind 614. The year is 1980. This chapter, film is showing it’s age. Clean appearance, though original condition. Sunshine at last. Afton Mountain has 614 upgrade and without diesel assistance. 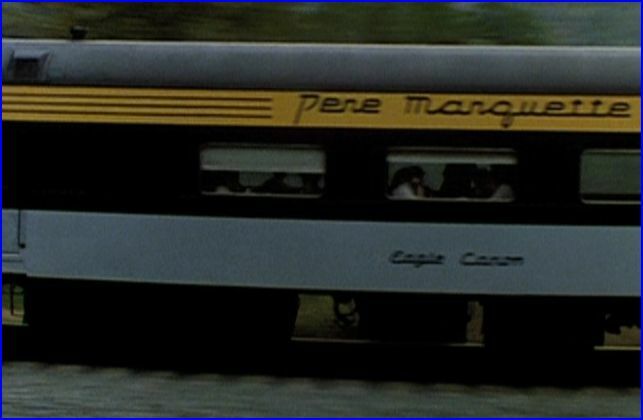 Chessie System had a matching livery on the passenger cars. Class! 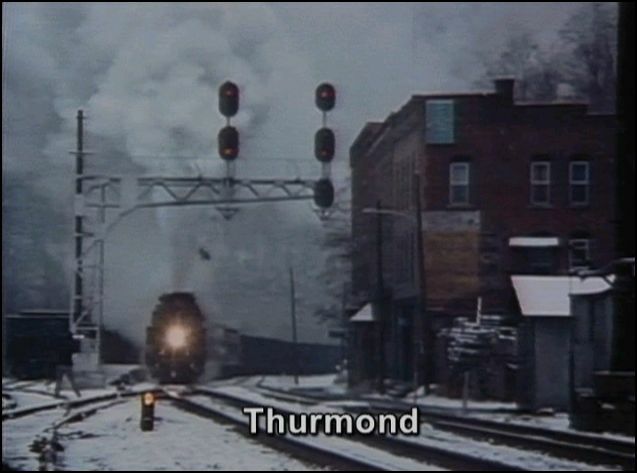 Thurmond, West Virginia. One of the towns that are a wealth of old buildings and vintage feel. 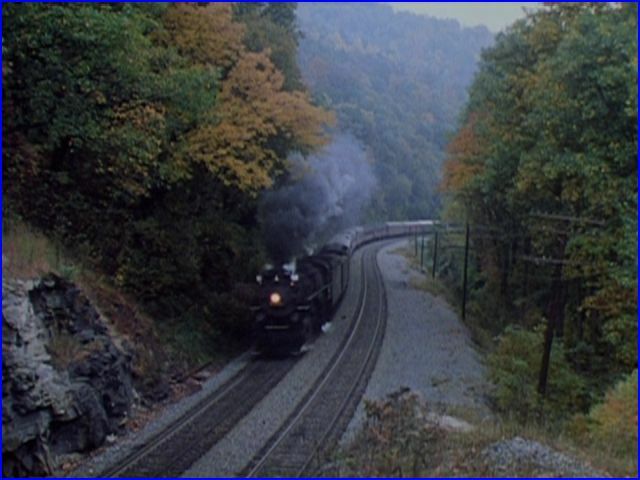 614: Thunder in the Alleghenies does contain a plethora of good cinematography. The dreary winter weather in the main part of the show is a concern. However, this is on C&O. 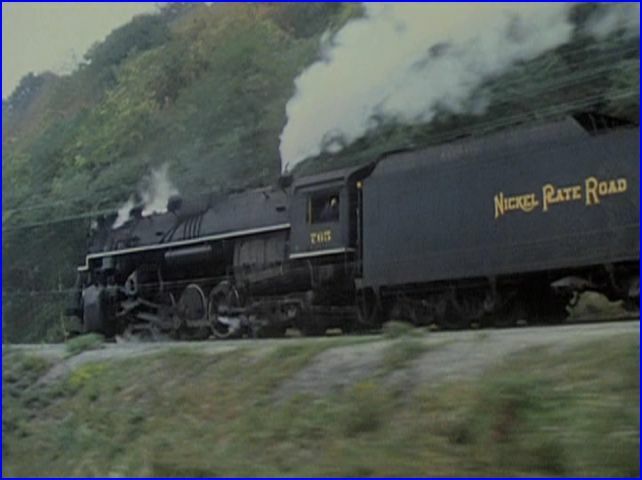 Apparently, bad roads and easier access to neighbor B&O, are some reasons the railroad was infrequently filmed with steam in the 1950’s. 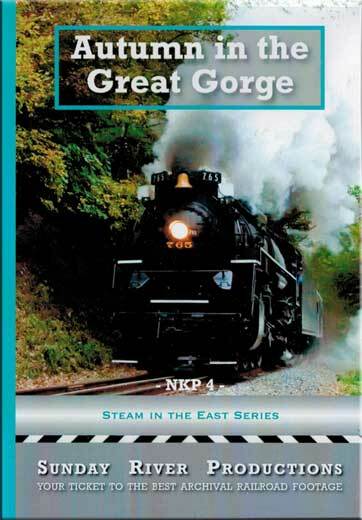 C&O vintage steam is very rare. 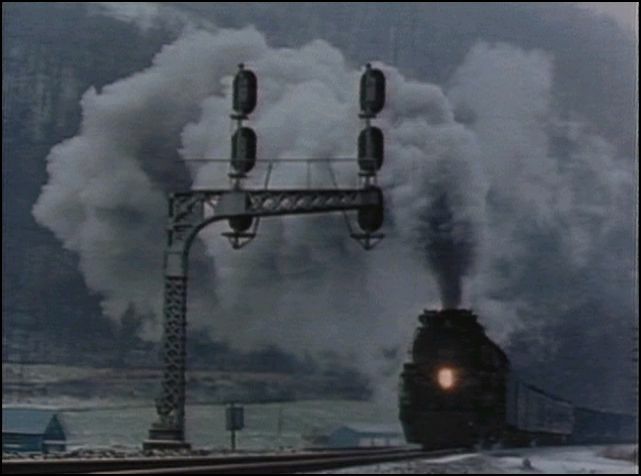 Sunday River does offer some classic C&O steam, as on Articulateds in Appalachia. 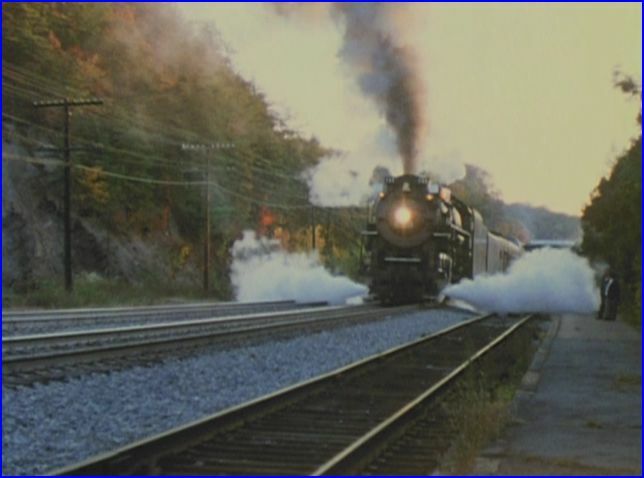 Here is a good opportunity to see an original C&O steam locomotive in regular service. This release is reminiscent of a time long past.